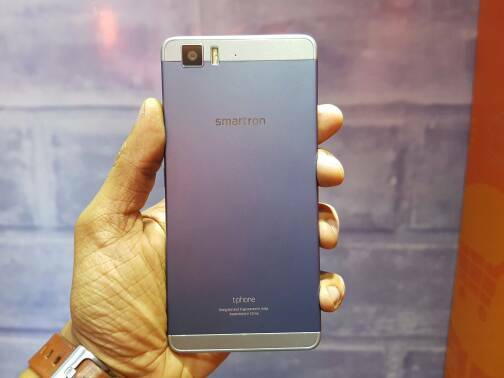 Indian company, Smartron, has launched its first smartphone in the country. The handset is named as, t.phone and is priced at Rs. 22,999. Smartron India Private Limited is a Hyderabad-based startup that was founded with a vision to build India’s first global technology product brand. The brand ambassador of the company is Mr. Sachin Tendulkar, the legend himself. Mr. Mahesh Lingareddy Founder & Chairman of Smartron India Private Limited said that Smartron t.phone is a great addition to the generation of Smart things to come, he further added it is one of the most exiciting devices in the line of products that the brand plans to launch this year. Let us take a look at the Key Specifications of the phone. Smartron t.phone has a 5.5-inch 1080p Full HD SUPER AMOLED display with a screen resolution of 1920 x 1080 pixels with a pixel density of 401 ppi. It has a Multi-touch display with Gorilla Glass 3 protection and Fingerprint-resistant oleophobic coating with Apical assertive display for excellent sunlight readability. It is powered by a 64-bit Qualcomm Snapdragon 810 processor V2.1 with 2GHz Octa-core CPUs and Adreno 430 GPU. 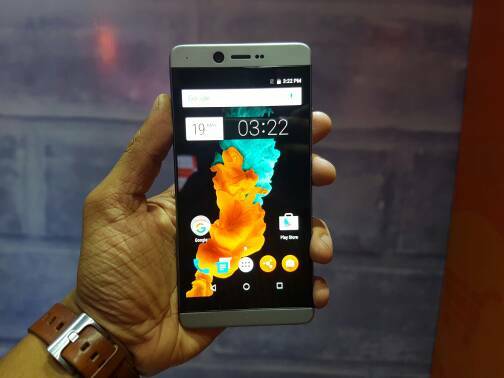 It has 4 GB RAM and 64 GB of internal storage which is expandable upto 128 GB with a microSD card. Operating system is Android 6.0.1 Marshmallow. Talking about the camera, it has 13MP PDAF autofocus primary camera with 1.12µm pixel size and dual LED flash, the front camera is a 4MP shooter with large 2µm pixel size. Connectivity options include 802.11a/b/g/n/ac dual band WiFi, Bluetooth 4.1, GSM: 850, 900, 1800, 1900 MHz, WCDMA: B1, B2, B5, B8, FDD-LTE: B1, B2, B3, B4, B5, B7, B8, B20, TDD-LTE: B38, B40, B41. This dual SIM, VOLTE ready smartphone is backed by a 3000mAh High density lithium-ion polymer battery with Quick Charge 2.0 support. It weighs around 149gm and its dimensions are 158.2×78.2×6.98mm. Sensors on the phone include Accelerometer, Gyroscope, Proximity sensor, Ambient light sensor, Hall Sensor, ST sensor and Digital Compass. As mentioned earlier, the price of t.phone is fixed at Rs. 22,999. The phone will go on sale in early June via Smartron t.store and Gadgets 360, and the registrations are already open. 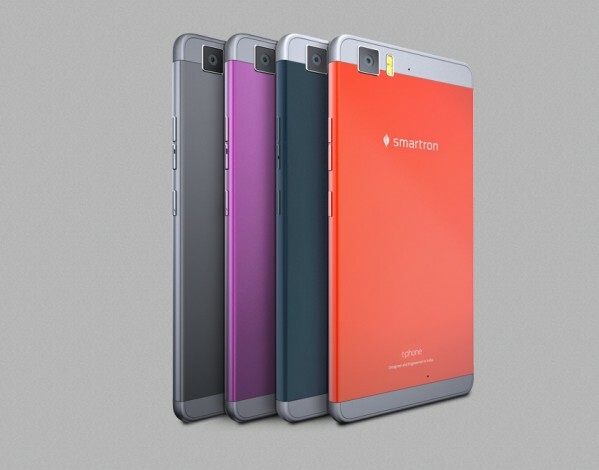 The phone will be available in a wide variety of colors namely Sunrise Orange, Classic Grey, Metallic Pink, Steel Blue.